We're totally drooling over these Nike SB x Stussy x Lance Zoom Blazer Mid in gold which has that Lance Mountain inspiration of 80's skate scene where it was all about DIY style and the living canvas of a skateboarder patinating their shoes through the method of their skate style. They were not really trying to be style influencers or looking cool, but when we reflect back it looked fresh as it gets! 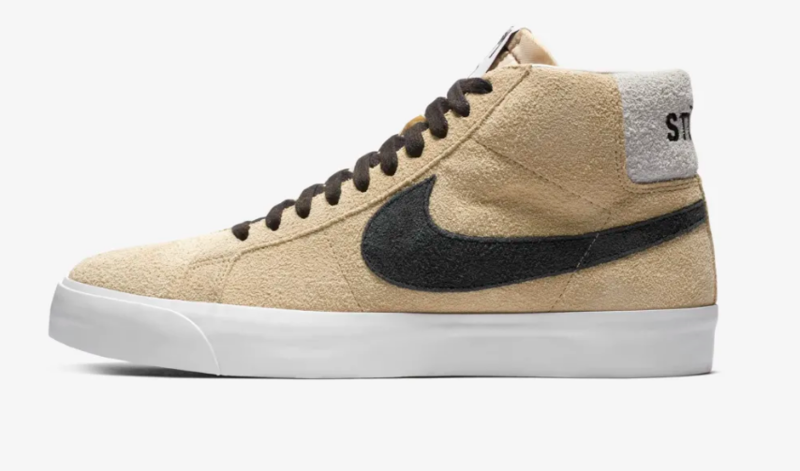 Here we see the Nike SB Zoom Blazer Mid in a shaggy gold suede that pays homage to to the memorable oversized leopard print pants he used to rock. These drop on a Monday morning so make sure you postpone your commute and pick up a pair of these special colabs.